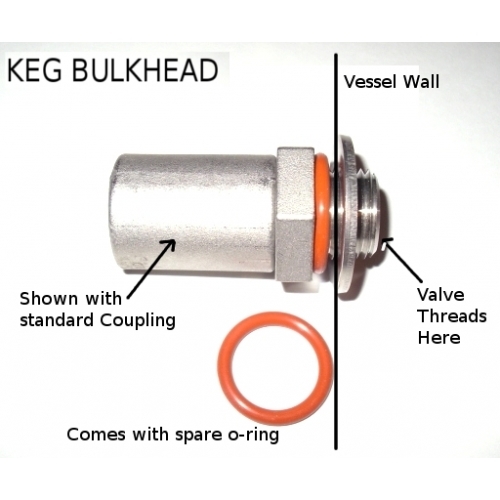 For keg and kettle and cooler walls up to 1/8 or 1/4" without using the included stainless shim washer. 1/2" NPS stainless steel locknut with o-ring groove. MALE NPT THREADS REQUIRE WHITE OR YELLOW PTFE (TEFLON) PLUMBERS TAPE BEFORE ASSEMBLY. YOU WILL GALL (BOND) THE THREADS WITHOUT IT. 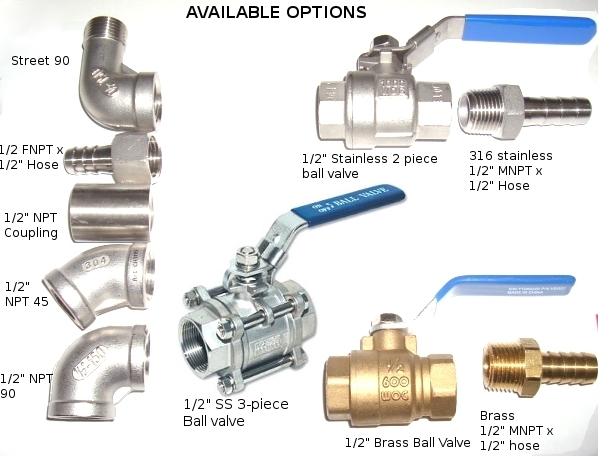 NPT = National Pipe Tapered. A male NPT Thread will NOT thread all the way into female NPT thread.